Proper maintenance of check valves can ensure a longer lifetime of use, proper flow and overall efficiency of your fluid handling system. Knowing which check valves can withstand different environmental factors, and how check valve sizing works is a key component in that maintenance. 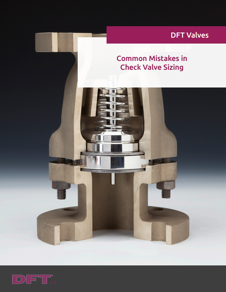 To help you get the most from your check valves, we’ve created this free eBook with an overview of things to be on the lookout for and when to speak to a professional.